Battery storage is key to provide dispatchability in island and micro-grid systems. 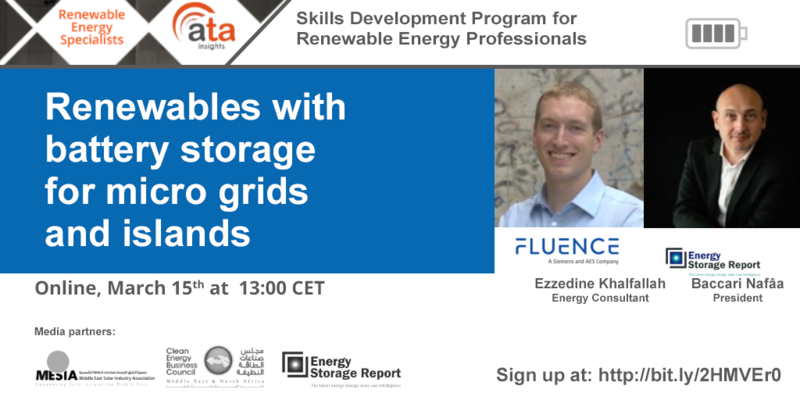 This webinar explores areas for renewable + batteries that are not connected to the main electric grid, or only have access to electricity powered by diesel for a few hours a day. What are the different types of micro grid systems and what storage solutions are best designed for them?